Is there anything better than a big bowl of ooey, gooey cheese dip? Yes. Yes there is. And you’re looking at it! 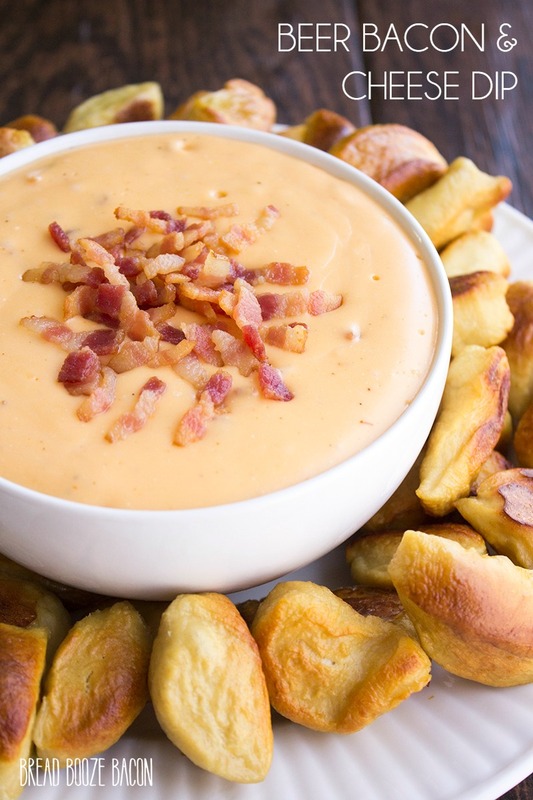 This dip is layered with beer and bacon for a dip that’ll leave you craving another bite. 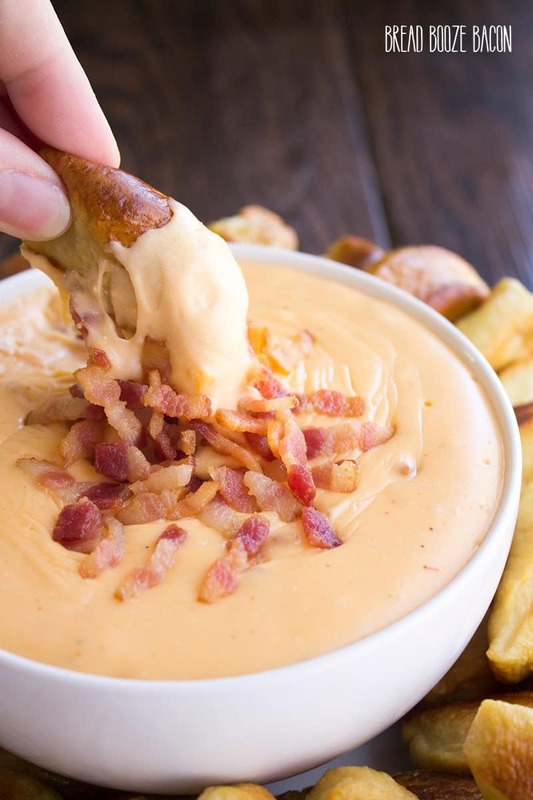 While I’m one of the bacon freaks at heart, pretzels and beer cheese is nirvana, and now I can have it all with this easy to make dip! Whenever we have friends and family over I go into appetizer queen mode. 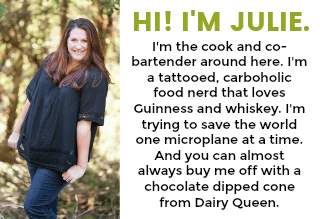 It doesn’t matter if it’s a birthday party, football game, or we’re just nerding out to music, playing Rummikub & having a few beers – munchies, finger foods, and appetizer dip recipes are always a hit at my house. Hell, they’re expected! Now that we’ve had this dip it’s become part of the regular dip rotation! The flavors in this dip are insane! The beer really comes through. The garlic…OMG the garlic!! Tangy sharp cheddar cheese thickened with cream cheese…everything together is this magical harmony of deliciousness. If I could plug in my brain and let you taste this I would, but you’ll just have to do the next best thing and make it for yourself! 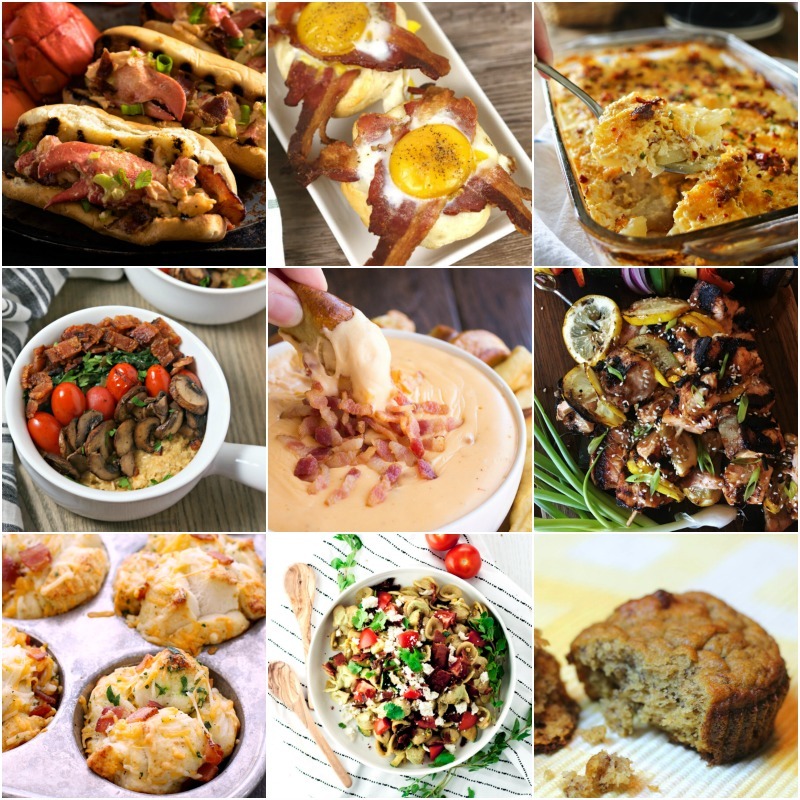 Click HERE to see all the Bacon Month recipes we made this month! 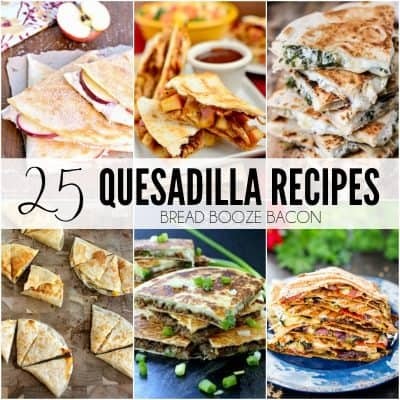 the Bacon Month Recipes. 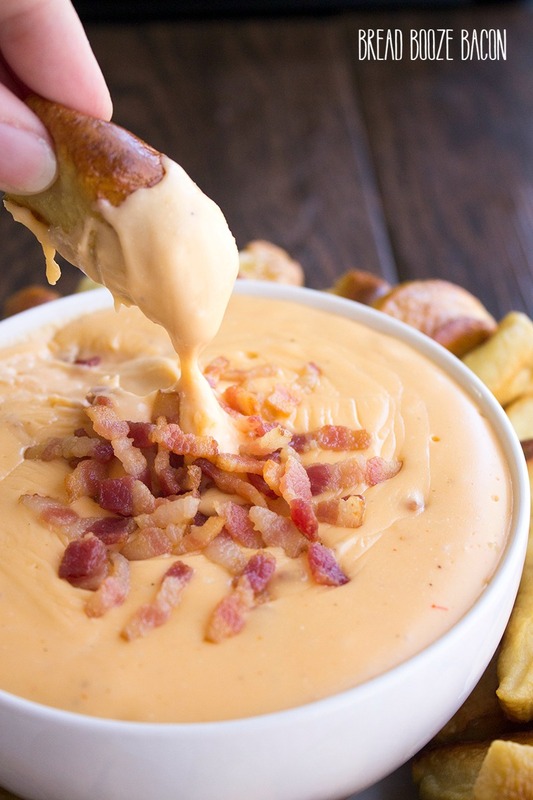 This Beer Bacon and Cheese Dip Recipe is a rich and creamy appetizer that's perfect with pretzels and is guaranteed to be the talk of your next party! Heat a large saucepot over medium-high heat. Add the bacon and cook until crispy, stirring often, about 5 to 7 minutes. Remove the bacon to a paper towel-lined plate to drain. Discard all but 2 tablespoons of the bacon grease. To the hot grease, add the garlic. Cook for 1-2 minutes, stirring constantly, until fragrant. In a small bowl stir together the flour and dry ground mustard. Add the flour to the pot and stir to combine. Cook for 1 minute. Pour in the beer and stir. Cook for 2 minutes. Add the cream cheese and cook until melted, stirring often to help break down the cheese. The beer will thicken up when you add the cheese, that's a good thing. You'll want to use your spoon to smush the cream cheese and little and get it incorporated into the sauce. Add the cheddar and Colby-jack cheeses. Stir to combine until the cheeses have melted and the sauce is thick and smooth, about 5-8 minutes. Season with salt and pepper to taste. Add the hot sauce and stir to combine. 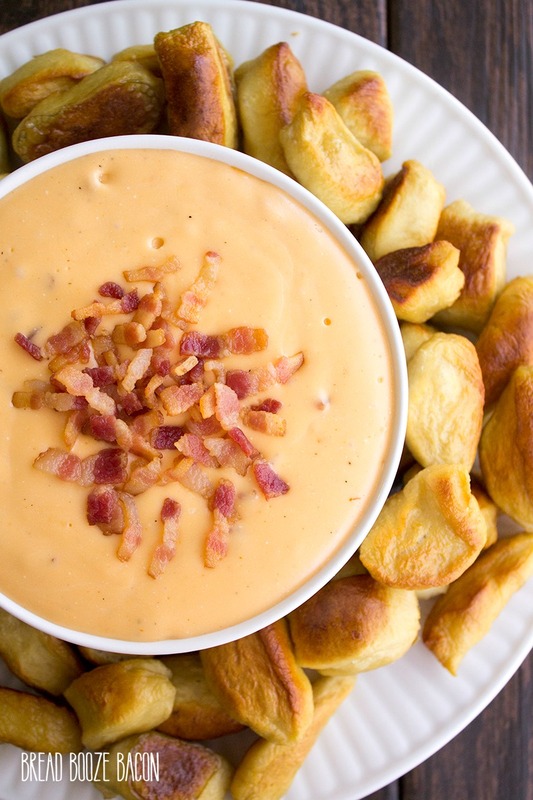 Add almost all of the bacon into the dip, saving a little for garnish. Stir to incorporate the bacon. Transfer to a serving bowl (or a crock pot set on warm), sprinkle the reserved bacon on top. Serve immediately with soft or hard pretzels. This dip is best warm and it will start to set up once you put it in a bowl. I highly recommend keeping it a crock pot set on warm if you serving it at a party. 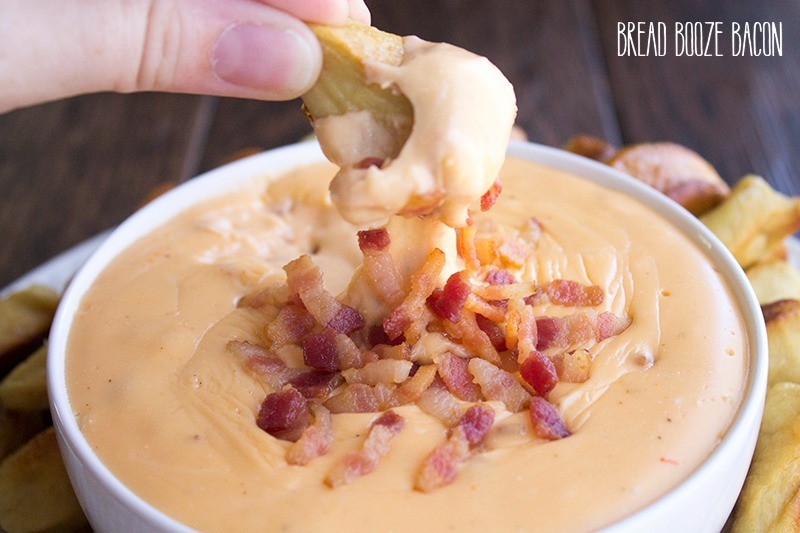 I made some homemade pretzel bites to along with this dip, but store bought (hard) pretzels go great too! I can’t get over how good this looks. I’ve got to try it! Is this recipe good for making ahead of time and reheating? This looks AMAZING! About how much dip does it make? For a party of 12-14, would it be enough, or should I double it? Also, do you think it would work to do all the steps ahead of time and then save the baking step for right before serving? I have to transport it about an hour away so I don’t know the best method to do that. Hi Katherine! I would definitely double this recipe for that many people. I have plans to try this dip out in the crock pot (or even just keeping it warm in the crock pot after cooking) how soon are you making it?